During my day to day life as a driving instructor I see a few arrogant drivers who clearly love themselves more than anyone else possibly could and I also see the odd idiot. We all do! I am constantly thankful to the majority of the Great British public for their ability to keep calm, allow others a little time and space, and offer a gentle wave of thanks when the same kindness is offered to them. I am delighted that the kindness outweighs the arrogance, ignorance and idiocy by quite a factor. Let’s face it: the road system would be a hell of a lot more dangerous were this balance to reverse. In my years as an instructor I have never heard anyone say that they would like to take more than one driving test. Who would? For some people though this is the reality. Whereas I sympathise with anyone who fails a driving test it has to be recognised that this is what happened. On the day you did not perform well enough so the examiner had no choice but to fail you and provide a full explanation as to why. 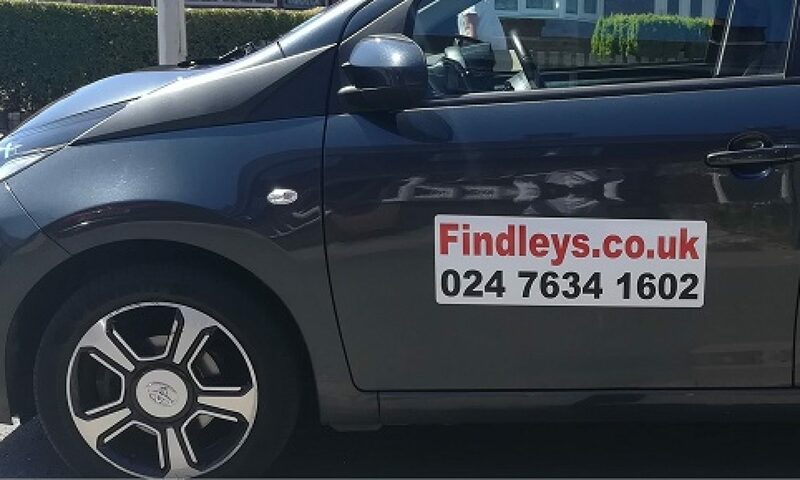 The most successful strategy for maintaining and improving your driving standards between driving tests has to be to maintain the frequency of your driving lessons. No driving instructor is going to disagree with this statement but many pupils do. All too frequently lessons are cancelled by a formerly reliable pupil for a myriad of reasons. Would you believe that they are not available at any other time on any other day either? Neither do I! Your instructors are not just trying to make a living (which they have to by the way, being self-employed right now is no fairy tale existence) they genuinely have your best interests at heart. I know from experience that pupils who do maintain the frequency of their driving lessons between attempts at their practical driving test are more likely to pass at the second attempt. In the UK I think we take this blatant piece of common sense a little too much for granted, or at least the majority of us do. Sadly I am seeing an increase of drivers not wearing a seatbelt. If the driver is an adult with responsibility for children in the car the example is not good. Over the years the attitude to seatbelts in the UK has improved immeasurably. I do remember when the law was first brought in and there was quite a lot of resistance by drivers to being told what to do. Sounds daft now but I remember it well. Let’s not slip back into this. Think about those around you that drive and if you know anyone who does not or intermittently wears a seatbelt then please remind them nicely that when you visit them next you would prefer a home visit to a hospital visit. Other parts of the world are still struggling with the idea of wearing seatbelts. I have read pieces lately about the attitudes of, “The state will not tell me what to do”, and even, “I am a man and I will make my own decisions”. Ridiculous as this sounds to us now these countries are going through the kind of mind changing and realisation period that the UK went through in the 1970’s. People who hold a full UK driving licence and have had a substantial break from their driving, whatever the reason, and people who passed their driving test and have not driven since form the majority who enquire about refresher lessons. Confidence is a huge factor in your ability to drive safely and drivers who have lost their confidence need professional support and guidance so that they can rebuild theirs. I am off at the moment taking a couple of days to relax before starting back to work after our lovely summer holiday in France. What do I see through our bedroom window this morning but the recycling wagon and its crew doing their rounds. This is no great shock to me as I am sure it is not to you. Our road is pretty busy these days for a side road and the twenty mile per hour speed limit is only generally obeyed by driving instructors and the few law abiding drivers out there. You know that I am a driving instructor by trade (the clue is the top of the blog *winks*) and as you would expect I teach health and safety above everything else. For a couple of minutes I watched the recycling crew going about their daily work and I was appalled at the level of danger they face literally on a minute by minute basis. and a split second to injure them. Drive as you were taught: approach slower taking effective observations. Be prepared to stop if you are not convinced that you can pass safely. Allow extra space (preservation of human life has to be a good reason) for the crews because everyone may lose concentration momentarily. Only pass when you are totally certain that everyone is safe while you are passing. Please take a few seconds to save a life!